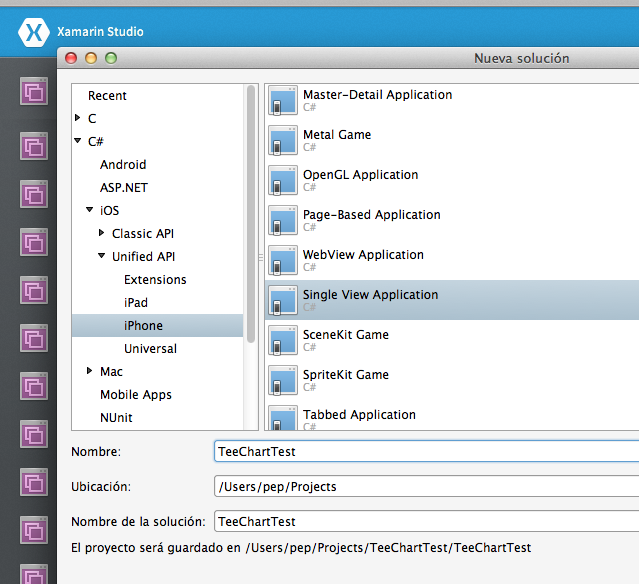 As you know the TeeChart NET for iOS have been available since the first MonoTouch version created by Xamarin team. The TeeChart product allows to add professional Charts to your apps easily. With a very few lines of code you can create the Chart, customize it, set a DataSource for the data and add as a View to the app. 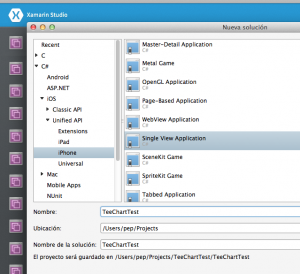 You just need to reference to the TeeChart.IOS dll and start working with it. Here you can find an article which shows how to display data from SQLite database into the Chart. This all using a Classic Xamarin iPnone project and the MonoTouch API. 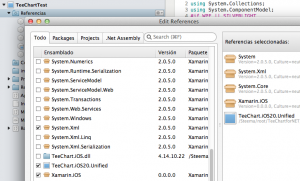 Now Xamarin has introduced the new Xamarin.iOS Unified API. This new api allow to support 32 and 64 bit applications with the same binary. See more info about the Unified API here. In order to continue supporting all the available Xamarin options, Steema has prepared the new TeeChart NET for Xamarin.iOS Unified version. Now both (the Classic and UInified versions) are included into the TeeChart NET for Xamarin.iOS product, so you can decide which one to use depending on your needs. You can download the new installer at the customers download page or at the Evaluation versions page. 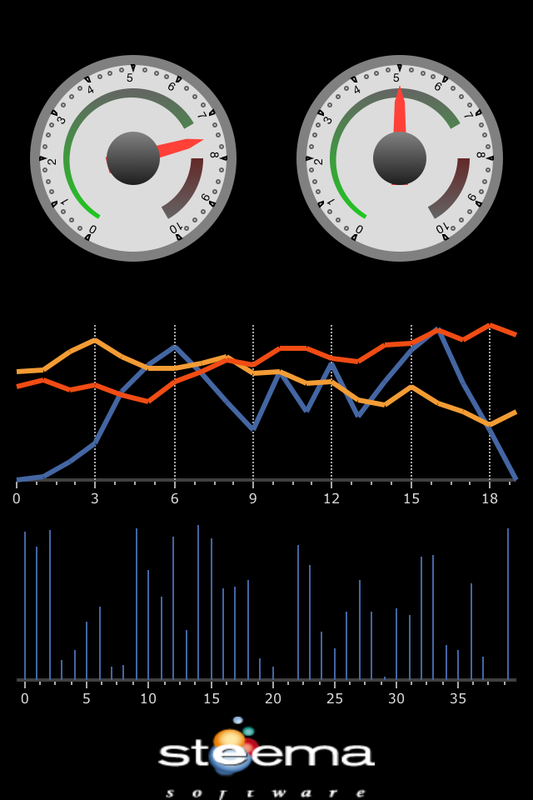 Here I’m going to show how to create a small dashboard application which uses several Charts on it by using the new Xamarin.iOS Unified and the TeeChart.iOS.Unified versions. All from the Xamarin Studio IDE. Open Xamarin Studio and go to File -> New -> Solution and then select c# -> iOS -> Unified API -> iPhone -> Single View Application. Right click over the Project references and click “Add references”. 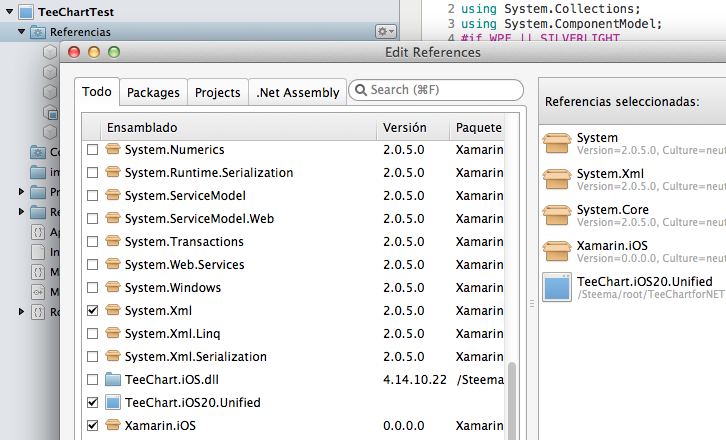 Find the TeeChart.iOS.Unified.dll on your hard disk and add it to the the project references. 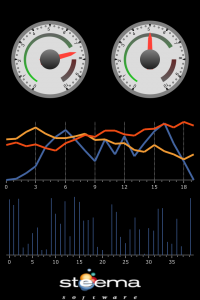 Then create and customize the Charts inside the main View. First we define all the Chart View object we’re going to use, and also an image which will be used to load the logo. Before to try to cmpile and run the app, we’ll have to add the “logo.png” image at the “Resources” folder of our project.